Cost effective construction T-shirts designed to advertise, team build, create job site uniformity and are priced low enough for give-a-ways. Don’t see your trade? Let us know. Serving our clients since 1991, we’ve learned a few things along the way when working with all the owners, managers, and buyers companies like your own; you want it on time, hassle free, with quality workmanship and the best price possible.As you may already know with your own customers, long term loyalty and referrals come only when your company is friendly, personable, competitively priced, and can deliver quality work on time. We understand your name is on the line, when your employees, sub-contractors, vendors and customers are given your wearables, we want YOU to be happy with our work. 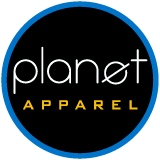 We want to be your first choice for all of your apparel needs and will stop at nothing to make working with us a great experience.Some of the most frequent uses for your industry are: Give-a-ways as gifts and for top of the mind branding and awareness, professionalism and uniformity on the job site, and to help distinguish yourself from your competitors. We have researched the best pricing for the most requested items. Because we buy in volume, we can bring our pricing down for you without compromising quality or service. If you don’t see what you want, contact us, we probably offer what you are looking for. Quantities are listed as individual units. Pricing includes 1 color front and 1 color back print. 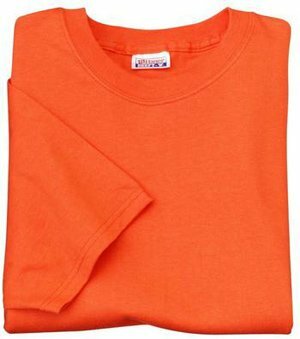 Pre-shrunk 100% ring-spun cotton 6.1 ounce t-shirt. Luxurious ring-spun softness. Double-needle cover seamed neck and shoulder-to-shoulder tape. Available in 44 vibrant colors! 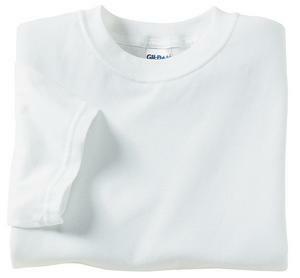 Pre-shrunk 100% cotton 6.1 ounce t-shirt. Double-needle stitched neckline, sleeve and bottom hem. Shoulder-to-shoulder taping. Seamless collar. Attention painters, pavers, coaters, demolition and more. Pre-shrunk 100% cotton 5.5 ounce t-shirt. Double-needle stitched neckline, sleeve and bottom hem. Shoulder-to-shoulder taping. Seamless collar. Additional locations add $1.00 for the first color, 50¢ for the second and 25¢ for additional colors. Not all colors have 3X, 4X or 5X available. California tax will be added to your order if ordered in California. Estimate freight of 25¢ each for West coast, 38¢ each for Midwest and 55¢ for Eastern states. Local San Diego pick up is OK. No freight charge. Purchase higher quantities for a better price especially if you think you will be purchasing on a continual basis. Use like color shirts accordingly. 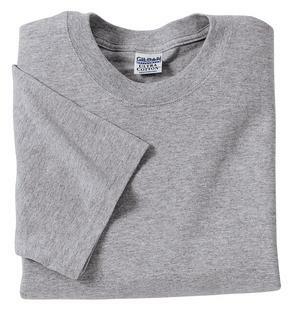 Light steel or grey shirts are great for concrete. Black might be good for paving, but don’t use black for roofers, the heat will melt the workers in the sun. Keep the back logo with less ink fill and more open space when possible. Eliminate the “sweat factor” when working. Sizing of the logo on the back of the T-shirt should use the “25 foot rule” – if someone is driving by, can they see your logo, phone number or website? Sneaky tip: Buy the high quality T-shirts for yourself and get the lower priced shirts for the workers.